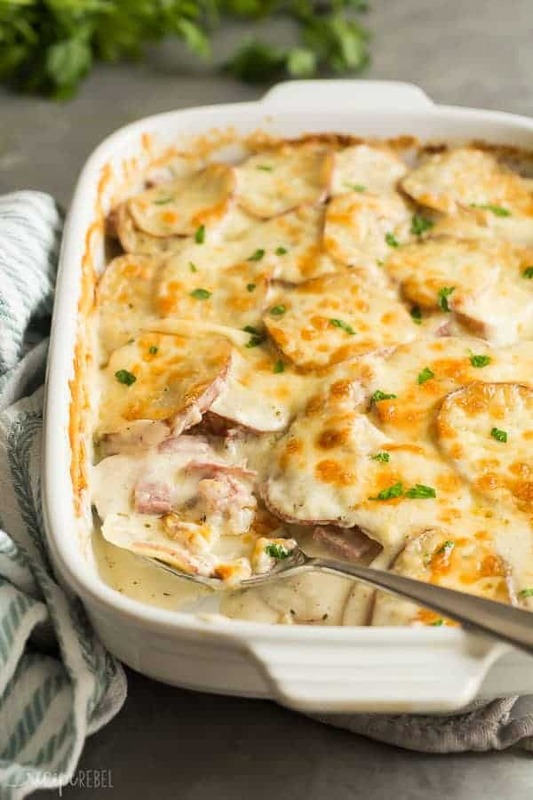 These Scalloped Potatoes and Ham are the perfect make ahead holiday dinner but they’re just as good for leftovers, too! Super creamy, cheesy and comforting. 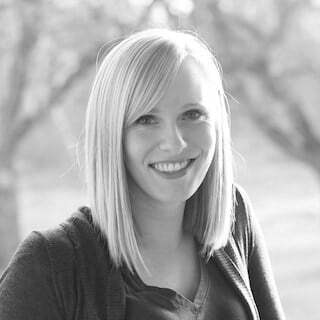 Hey friends! 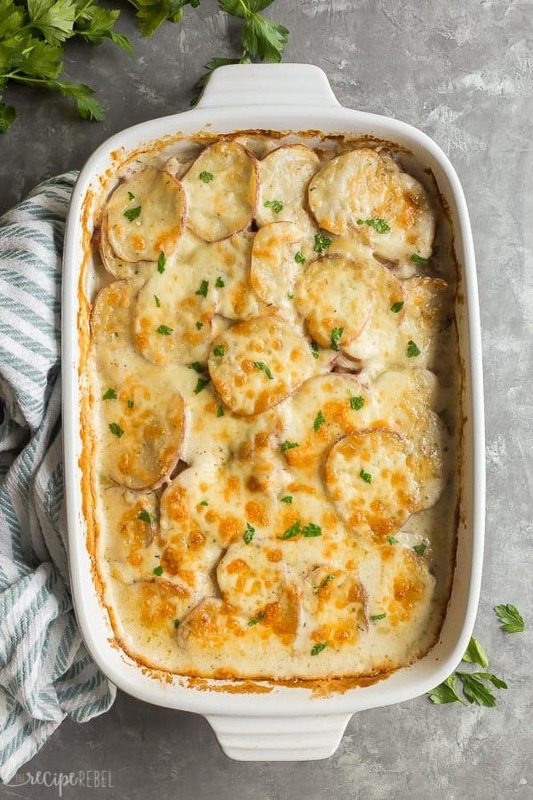 It’s Ashley back from The Recipe Rebel and today I’m bringing one of my all-time comfort food favorites: Scalloped Potatoes and Ham. This easy, make ahead casseroles combines pretty much all of my favorite things: potatoes (give me all the carbs! ), ham, a smooth, creamy sauce, and cheese. It wins extra points because you can prep it ahead and stash it in the fridge to bake just before company arrives, and is the perfect answer to any leftover Christmas ham. I’ll admit, that most casseroles require more pots and pans than I prefer. I’m normally a one pan kind of girl. However, I make an exception for casserole dishes because you’ve got 30, 4o minutes or more to tidy up and relax with a coffee or a glass of wine while it bakes, which means dinner looks effortless and you get to actually hang with your guests instead of slaving in the kitchen. I like to use red potatoes for this recipe, really only because red potatoes are my favorite. I find them so smooth and creamy and they’re perfect baked, roasted, boiled, or in a casserole like this. If you prefer, you can use yellow or russet potatoes, and the decision of whether or not to peel them first? Also up to you. Lighten it up: you can make this a little healthier by using lighter liquids. Low sodium chicken broth and low fat milk are low in fat and will reduce the calorie count significantly. I like to land somewhere in between “it tastes too healthy” and “over the top indulgence”, which is what this recipe reflects. You can get a little crazy if you want: add some spice, extra veggies, or try a different type of cheese! Feel free to mix and match and see what you come up with. Don’t have any ham? Feel free to skip the protein in these Scalloped Potatoes and Ham and serve as a side dish — this Slow Cooker Pork Tenderloin or these Instant Pot Chicken Breasts would make a great addition to the dinner table! You can also use leftover turkey instead of ham. You can make this casserole about 6-8 hours in advance and refrigerate until ready to bake. If you keep it any longer, the potatoes may release too much water or start to turn brown. Be sure to cover the potatoes with the sauce as soon as possible to prevent browning — potatoes cannot be sliced and stored! 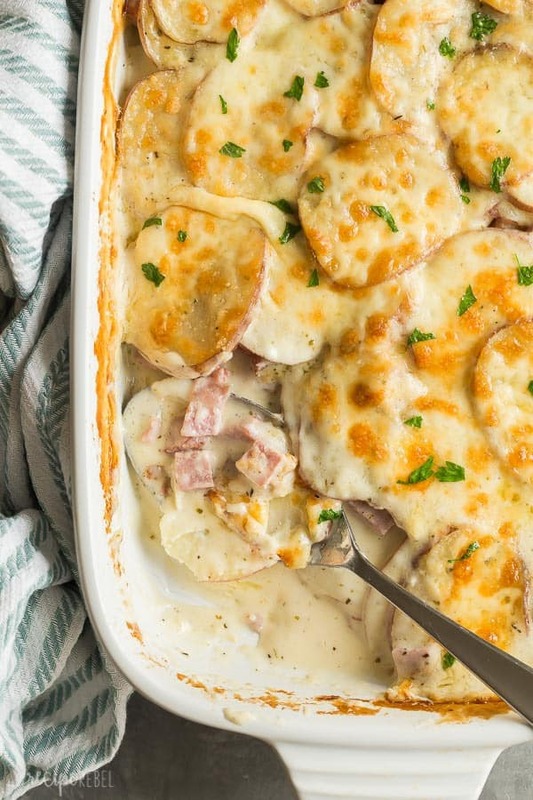 These Scalloped Potatoes and Ham are the perfect make ahead holiday dinner but they're just as good for leftovers, too! Super creamy, cheesy and comforting. Layer potatoes and ham in a lightly greased 9x13" baking dish and preheat oven to 350 degrees F.
Add garlic, Italian seasoning, salt and pepper -- cook and stir 1 minute. Whisk in flour until smooth, then gradually whisk in the milk and cream. Cook and stir over medium heat until thickened, 3-4 minutes. Stir in 1 cup of cheese. Pour sauce over potatoes and ham. Cover with foil and bake for 60-65 minutes, until potatoes are tender. Uncover, sprinkle with remaining 1 cup cheese, and bake 10 minutes or until thickened, bubbly, and cheese is lightly browned. Great one to make ahead ! Thank you !